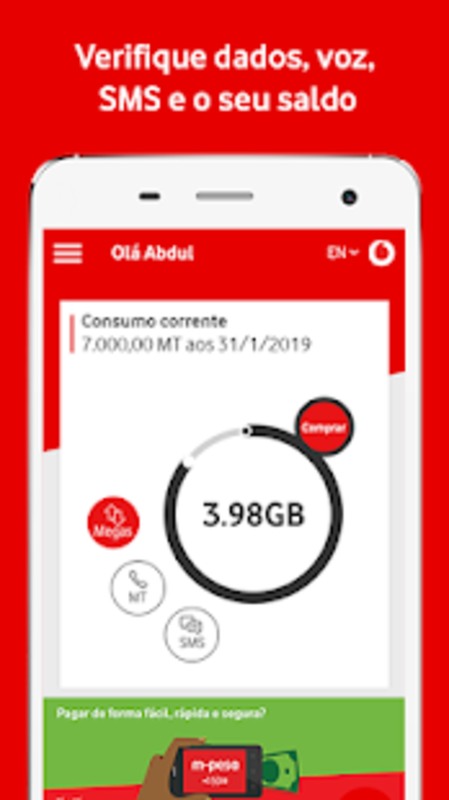 Meu Vodacom Moçambique is a utility application that lets you access and manage all your registered bundles. This managing software helps you in keeping track of your bundle usage and provides you with a convenient way to recharge all your counters. With Meu Vodacom Moçambique, you can stay connected with your friends online without losing all your mobile data balance. This app allows you to monitor your data usage using real-time updates. In addition to mobile data, the app also helps you monitor your remaining airtime, SMS, and voice call balance and keeps track of your jackpot bundles and its validity. However, the app’s function is not only limited to tracking down your balances. With Meu Vodacom Moçambique, you can recharge your data and jackpot bundles by choosing among the bundles offered. You can also make a jackpot loop and data bundle to fit your needs. More so, you can send data and jackpot bundle to another number. Furthermore, the app comes with a store locator, which directs you to the nearest store according to your location. Meu Vodacom Moçambique allows users to control the balances of their main accounts and all its active offers. It also keeps track of the validity and status of this account registration. All information is updated in real-time, so you are sure that all data are accurate. However, while this app may provide you the convenience you need, this is not for everybody. Meu Vodacom Moçambique is only available for Vodacom users. You need to register to your Vodacom account in order to use the app. But once you do, you can monitor your bundle usage, anytime. The app comes in a straightforward interface which is very easy to use. Upon launching, you can see all counters such as reload bonus, jackpot credit, data bundle, and airtime directly in your homepage. By clicking each counter, you can see your remaining balance and validity. You also have the option to recharge by tapping the Buy button. By tapping the three horizontal lines located at the top left corner of your screen, you can launch the navigation bar. Here you can see other options such as Bundles where all available internet and jackpot bundles are listed, and Gifts which lists down all the deals and promos you can buy. You can also see the button for the store locator as well as other important tabs such as your profile, and the app’s About and FAQ page. 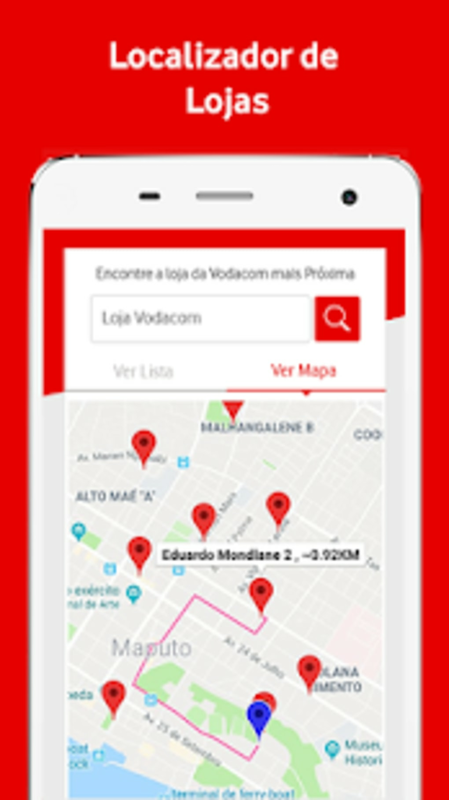 You can download the Meu Vodacom Moçambique app for free. However, it requires a mobile internet connection to operate. Meu Vodacom Moçambique is a handy app to have in your phone if you are constantly using your data and jackpot bundles. This software can help you in keeping track of your remaining balances, so you don’t overspend. More so, it provides you with a convenient way to recharge all your counters before it expires. If you want a simple way to manage your bundles, then this app is for you. 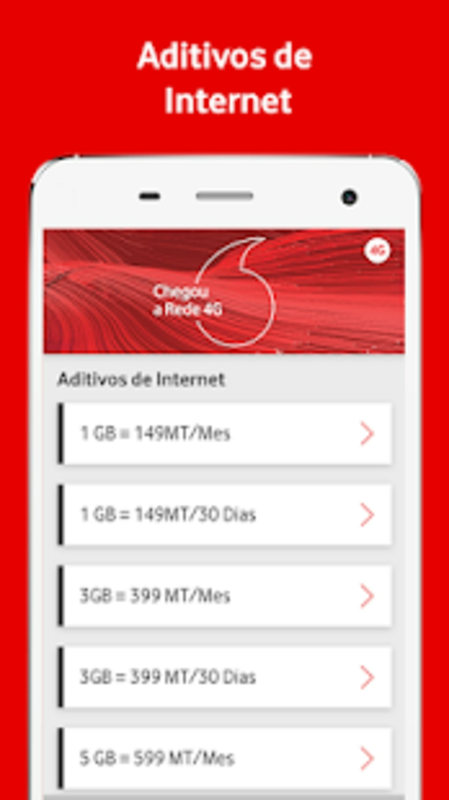 What do you think about Meu Vodacom Moçambique? Do you recommend it? Why?